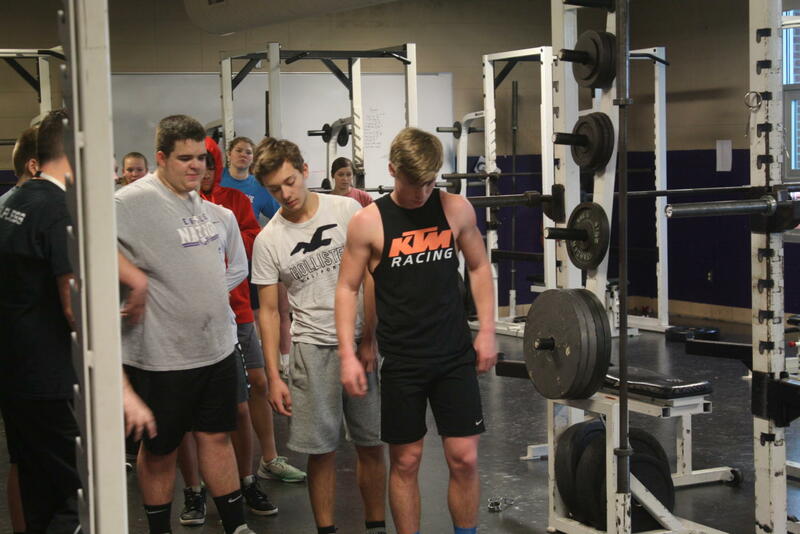 Athletic programs at Fair Grove High School have always encouraged productive off-season training, but this year they have taken it a step further. Coaches have athletes in the weight room three days a week, before and after school. The before school sessions consist of heavy weight lifting, while the after school classes are focused on speed and agility training. According to weights coach, Ryan Buffington, the mornings average 55 athletes, and the afternoons average 30.